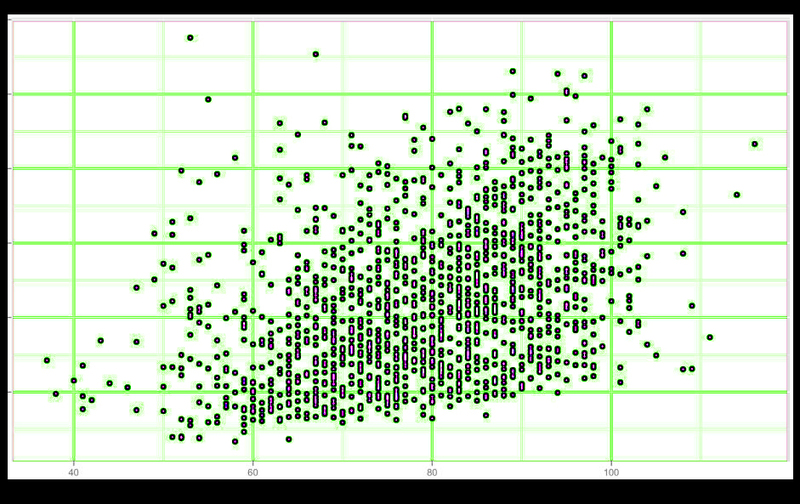 I have not found a good source of data on a team’s record in doubleheaders. I’m sure there must be a source out there that will tell you everything you want to know about twin bills, and will tell you when the last time the Twins swept a double header. But I did not find it. I should look a little harder, probably. I figured the Twins had not swept a double header since, oh, 1991, maybe. Or maybe in the late 60’s. But no. I was wrong. A very reliable source — this very blog — tells me that the Twins swept a double header in 2013. And in 2014. Being a Twins fan, I think it’s Highly Unlikely that they’ve swept a doubleheader since then. Twins fans usually go into doubleheaders with nervous trepidation, hoping for — best of all possible worlds — a split, with a win in the first game so we can relax a bit in the second. It would be interesting to know the Twins overall record in Doubleheaders. I would guess something like 5 sweeps, 17 splits, and 46 swepts. That’s what it feels like, anyway. Statistics be damned. Back in 2013 and 2014 I don’t even mention the hapless team that we victimized. I was probably stunned. Perhaps I didn’t want to embarrass the other team in print. I’m all old-school, and I’m sure I would have said something like, good games, the breaks just happened to go our way today. Not only did they sweep, yesterday, the Orioles, by the way, they also knocked the ball around quite a bit. Three players hit two home runs, Rosario, Cruz, Garver, and the boys hit 11 homers total, 8 in game two, as they took the first game 6-5 behind Berrios, and game two, 16-7, behind Perez. How often do three players hit 2 home runs in an away game doubleheader? Well, you can look it up, maybe. Or maybe this is a first. Either way, it’s fun. And thusly we tie the Naps of Cleveland for first in the junior circuit mid-america division. It was interesting looking back at those old blog posts. Hicks and Florimon and Doumit and Butera and Parmalee and the Great Colabello. Where have you gone Joe DiMaggio? Time moves on. The players come and go. Young rookies turn into seasoned vets turn into, god forbid, managers. We fans, happily, stay the same age forever. And I find it interesting to note that I had a blog category for “losing,” but not for “winning.” Very telling, I suppose. Two wins in one day! Ha! Show me a better team! Twins are 5-2 now, after a nice 6-2 win against Philly, played under more baseball-like conditions. Kepler and la Tortuga led off the scoring with back to back homers in the third. Buxton made a nice throw home in the sixth on a fly ball to nail Harper at the plate, keeping the game at 3-1. But I thought Astudillo was the key to that play, catching the ball and hanging on as he immediately tagged a flying Harper. I would not like to be the catcher waiting for the throw at home with Harper bearing down on me. Astudillo focused and made the play. La Tortuga comes through in the clutch. Well, yesterday, when I started writing this up, the Twins were on a pace to win, like, 130 games this year. But then they lost yesterday, and we knew 130 games was crazy unrealistic anyway, so now we are back on to reality, and on pace to win 107.99 games, which is still pretty good, we’ll take that, thank you very much. I was just about to write about what a good start the Twins were off to, and I wondered when was the last time the boys got off to such a good start? 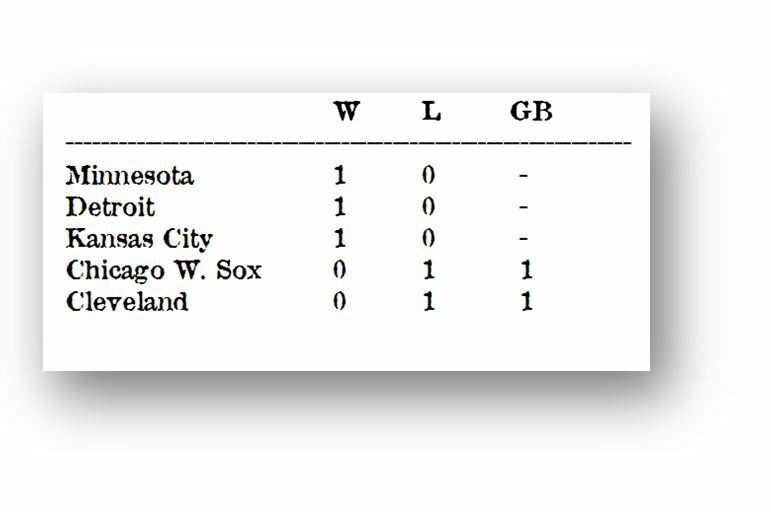 Well, as you undoubtedly recall, the 2017 Twins — yes, all the way back to 2017. Remember those guys? Mauer and Dozier and Grossman and los dos Santanas and Colon and Kintzler? Remember those guys? — anyway, they started off the season 5-1, which is where we would have been if we would have won yesterday. 2002? Also a 5-1 start. In ’68 and ’65 the boys jumped off to a 6-1 start. I guess we’re not going to match any of those records, but 4-2 is better than 2-4, so we’re sufficiently happy. Yesterday they lose to the Phillies, 10-4. Looking at the box score, what jumps out first is 3 errors. Well, those things happen. It was a very bad weather day in Philly, drizzly/rainy and cold, and both teams had to contend with that, but it seems like the weather or something else got in Odorizzi’s way: he only went 2/3rds of an inning, gave up 2 hits, 3 walks, 5 runs. Not a quality start. The boys narrowed it to 6-4 in the top of the 5th, but that was all she wrote. Perez gave up a couple more runs, and Mejia yielded a few, and game over. 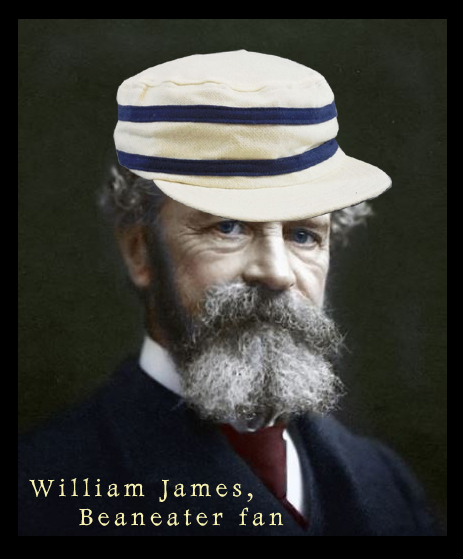 We move ahead, then, years later, many many years later to the famous American psychologist, writer and philosopher William James. James “rediscovered” this Pythagorean formula, back in the 1880s, I believe, while following the fortunes of the Beaneaters in Boston. I think he wrote a paper about it, using a slightly updated version, removing the ducats. Ever since then, countless others have tinkered with the basic formula, trying to improve its accuracy and get their name on a formula. I’m sure there are other versions that factor in lefty righty splits during rain delays in day games during July before a road trip to the east coast. And probably more complicated versions than that. But, using this very simple, very basic, very very old formula, you are generally able to make a pretty darn good estimate as to a teams winning percentage. The trick, of course, is to know how many runs they will score in the season, and how many runs they will give up. 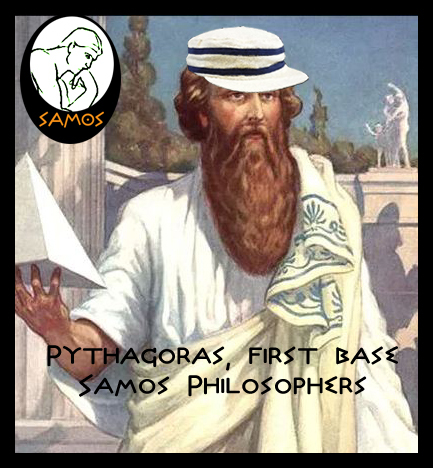 At this point Pythagoras threw up his hands and said, “that’s why we play the games!” And he was so right about that. You’ll find a team’s Pythagorean Results listed in some of the more detailed standings sheets that you might see in the sports pages, and maybe even online, telling you, based on how many runs they’ve scored and given up, what their record should be. Teams will often be a few games above or below their Pythagorean record. Seems like the Twins are usually a few games below. Chalk it up to weather conditions or luck or bad base running or whatever. Maybe the boys ease up when they have a big lead, so as not to rub it in. That would affect their Pythagorean standings. But Pythagorean standings don’t win pennants. That’s why we play the games. 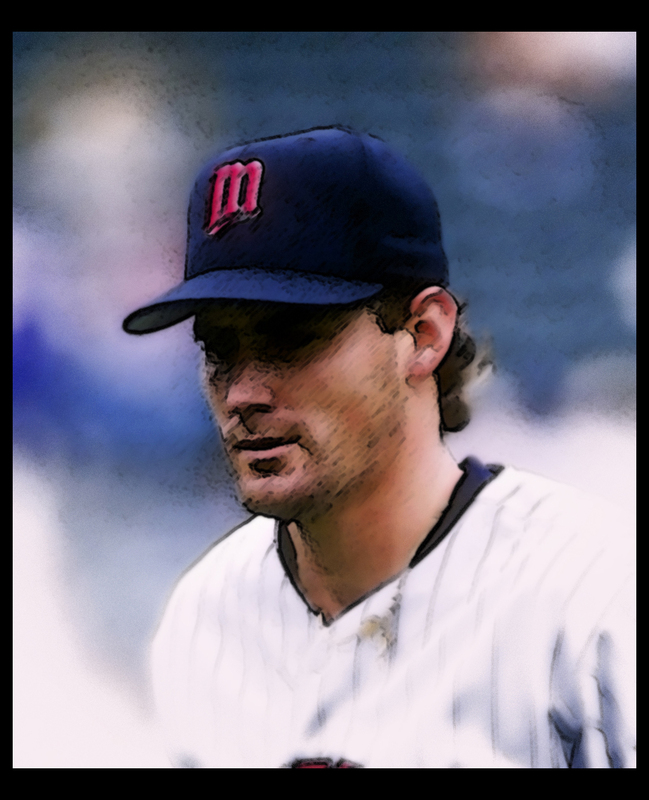 Brad Radke started in 9 opening games for the twins from 1996-2005. After Radke started in 96 and 97, Bob Tewksbury started in 98, and then Radke reeled off seven in a row. 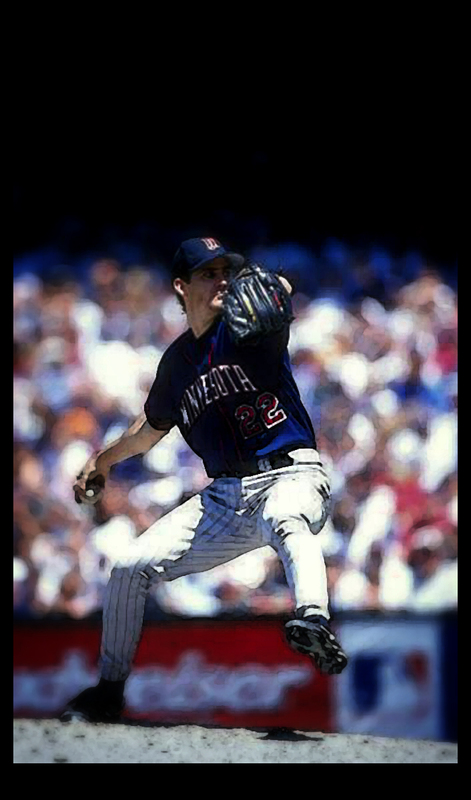 Tewk pitched in 97 and 98 for the Twins. I think I’d forgotten all about that. 98 was Tewk’s final season in the majors, he went 7-13, 4.79 that year. I wonder if Radke was hurt at the start of that season? 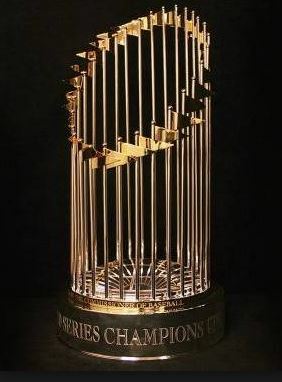 That stretch, from 96 to 2005, ran the gamut from terrible (90+ loss seasons in 97, 98, 99, and 2000 — as the Twins retooled from their glorious championship season of 1991) to pretty darn good, with 90+ win seasons and division championships in 02, 03, and 04. Radke was a classic Twin. We’ll call him a hometown boy, even though he was born over there in Wiscky. Eau Claire (french for “bad eclaire”). Lifetime record of 148-139, with a 4.22 era. Played in 378 games, and started 377 of them. I wonder what happened with that other game? It was his first season. I wonder if it was his first game? That wouldn’t be surprising I guess. Manager tosses the new kid into his first game in relief, and then Radke goes and starts the next 377. His top season was 1997, when he went 20-10 with a 3.87 era. Other than that, I guess he had pretty much a .500 record, since his career record is 9 games over .500. The Twins went 68-94 in 1997, so Radke had some season that year. I wonder if Radke got hurt late in 97, or over-used? As Tewks started opening day in 98, and Radke went 12-14 with a 4.30 era that year, and finished his career with that 4.22 era. Probably that 97 season colored my perspective of Radke for all those subsequent years. I think I’ll look into this a bit. What’s the story? [UPDATE: Turns out they (management) thought it would be a bigger honor if Radke started the home opener in ’98. So he wasn’t hurt. They just saved him for the next day. A bit odd. Radke didn’t seem to care one way or the other. In 2001, 2002, and 2003 they opened on the road, and Radke started anyways. (I wonder who got the honor of starting in the home opener those years? (Answer: Radke, Radke and Rick Reed.)) So. There you go. AND the Twins beat the Spiders 9-3 today. Got a few hits. Buxton, Cruz, Astudillo. Lookin’ good, guys. And so, even though he was not the 97 edition of Radke, he still started 7 openers in a row after that. Who else was pitching in those seasons, I wonder? 2004: Johan Santana, Carlos Silva, Kyle Loshe, Terry Mullholland…and Seth Greisinger? Those were some pretty good years, though the pitching staffs seem kind of cobbled together. I always had high hopes for Joe Mays, but: arm trouble. Maybe he should have learned to throw the knuckler. Radke was a free agent in 2004, but signed with the Twins anyway. Another sign of a Minnesota ballplayer. Sure you could maybe get more money in California or New York. But then you’d probably have to live there too. We’re sure those are fine places, but we’re good where we are. Thanks anyway. Good game Brad. I enjoyed your work on the Hill. Well, yes, it’s good to be in first place. Long-time Twins fans know that it is a rare occurrence for the boys to come out of the gate at 1-0. We know that a jump-start like that is something to be embraced and celebrated. 1-0! Undefeated! First Place! First Place, thanks to Jose Berrios 7.2 innings of 2-hit 10-k ball, and Marvelous Marwin Gonzalez 2-rbi double in the bottom of the 7th. 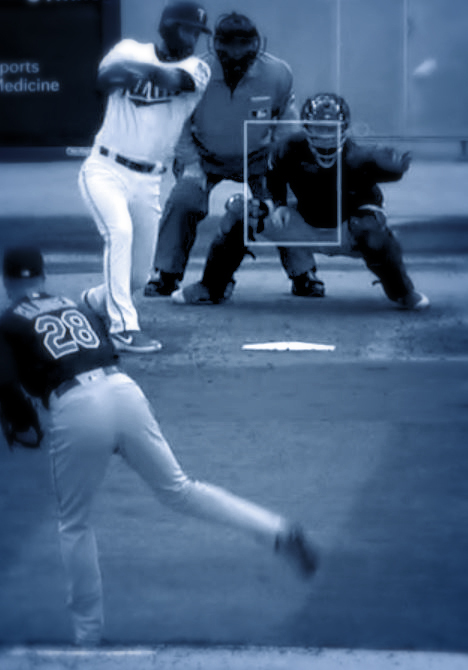 The Cleveland club’s pitcher, Kluber, was nearly as good, four hits over seven innings. But no, he could not match Berrios on this opening day, and the Twins emerged triumphant from a game played in mid-season form. The Twins now stand 26-34 on opening day. 2-9 in the last 11 years. Those have not been good years. They’re 11-12 in home openers. It’s always a struggle. We are a northern team, and so, after spring training down there in Florida, it takes us a few games to get acclimated to the Great North Woods again. After a day off to rest on laurels, we take on the Spiders again, Saturday and Sunday afternoon. Day games! Let’s play two! Quick Twins Trivia question: Which Twins pitcher started the most season openers? 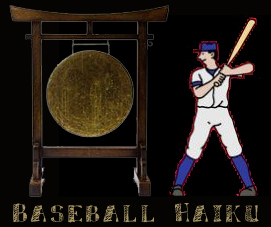 And with Opening Day comes Opening Day forecasts, predictions, prognostications, divinations, hariolations, augury, presagements, vaticinations, estimations, calculations, mantologies, prophesizing, soothsaying, conjecturing, and plain old wild guesstimating. First of all, only four seasons of predictions? When I’ve been “running” this blog for, what, six or seven years? I don’t have any explanation for that. But them’s the facts. Adding up the differences, I’m at +44 over 4 seasons, which makes my average +11 per season, which in some ways seems pretty on-target: I am wildly optimistic. But perhaps not totally unhinged from reality. The predictions of the professionals are interesting. Is Pat Reusse the best at this because his predicted results total only 1.75 games off reality over four years? Or is he the worst at this, as he’s off by double digits every year, in one direction or the other. You make the call. Who were the winners over the four years? Well, it’s between me and Phil, I would say. He was closest to the mark two years, and I was closest to the mark two years. Now, when he was closest to the mark, he was off by an average of 12.5 games, and when I was closest to the mark, I was off by -1.5 games. But does that make me a better guesser than Phil? Does that make him a bad person, and me a baseball genius? Again: you make the call. Anyway. So it goes. Basically, when it comes to baseball, nobody knows anything. I have a feeling that someone said that before me, some baseball guy. Yogi? If I’m the first, though, you may quote me. And so, anyway, hows about 2019? Well, let’s take a look at the Twins lineup. Castro was injured most of last season. If he’s healthy, he’s starting, and you have to think this is a plus from last season. Right? Garver gained experience last year, but also suffered a concussion. Showed a pretty good bat last season, but can he come back from the injury? The Twins have a bad history with concussions. They don’t like us. Astudillo. Well, we all love Astudillo. And he is amazing. What else can you say? I call this, One Step Forward. First Base: C.J. Cron is the starter. Acquired as a free agent from Tampa Bay, and played for the Angels for a few years before that. Initials stand for Christopher John. C. J. has a nice ring to it, and is better than Chris Cron or John Cron, both of which sound kind of funny. What were his parents thinking? Perhaps they always wanted a kid they could call C. J.
C. J.’s season-by-season major league HR totals over his career go like this: 11, 16, 16, 16, 30. His OPS went up from .741 to .816 last season. His batting average has been pretty consistent, but his slugging percentage went up from .437 to .493 last season. What’s the deal? Does Tampa Bay have a hitters park, compared to LA? No. More home runs in LA. Minnesota’s park is less than LA, more than Tampa Bay. So we’ll be optimistic. This is an upgrade from Mauer at first, who had a .729 OPS last season. Backing up Cron we have the Mysterious Sano, and Tyler Austin, who people (around here) talk about a lot, I’m not sure why yet. He showed some power last year, 9 home runs in 123 at bats, hitting a shade over .230. The jury is out on Mr. Austin. People seem to think that he can unload. One and a half steps forward. 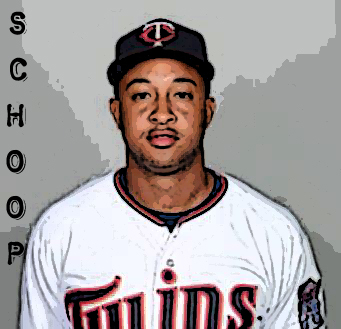 Second Base: Jonathon Schoop, another free agent acquisition who’s been receiving a lot of positive attention in these parts. Last year with the Orioles and the Brewers, he hit .233 with 21 HR in 473 at bats. In 2017, though, it was .293, 32 HR, and 105 rbis. So what happened last year? Well, there was an injury. If we see the 2017 Schoop, we got a great deal here. Last year the Twins had Bull Dozier at second, and he had an off year. I’m a Dozier fan, and so I’m calling this a slight step forward. But Dozier had a terrible year last year, so this has got to be an upgrade. And Mr. Schoop has a lot of upside, there’s a lot of potential for this to be a big upgrade. Backing up the Schoop is Marvelous Marwin Gonzalez, carrying some Divisional Championship Magic Dust from the Houston Astros. (I can’t believe I just wrote those words.) Gonzalez has a lot of street cred. He hit .247 last year with Houston, with 16 HR, and 489 at bats. Most of his games were in left field, but he also played shortstop, second base, third base, and first base. So a nice acquisition. He’s got a lifetime .264 average with Houston, and hit .303 with 23 HR in 2017. He’s going to want at-bats, I think, to be a happy ball player. I guess we should expect to see him play all over the field. Let’s take one step forward. Shortstop: Jorge Polanco, who also started last year, and for the Twins even, after he served his time off for PED. Polanco has had troubles in the fielding department, but it’s hard to tell how that will go. This season will tell us a lot about Mr. Polanco. He swings a pretty good bat, hit .288 in 302 at bats, a .773 OPS. and he’s hit about .300 this spring. I’d have to say we’re better off with a whole season of Polanco. 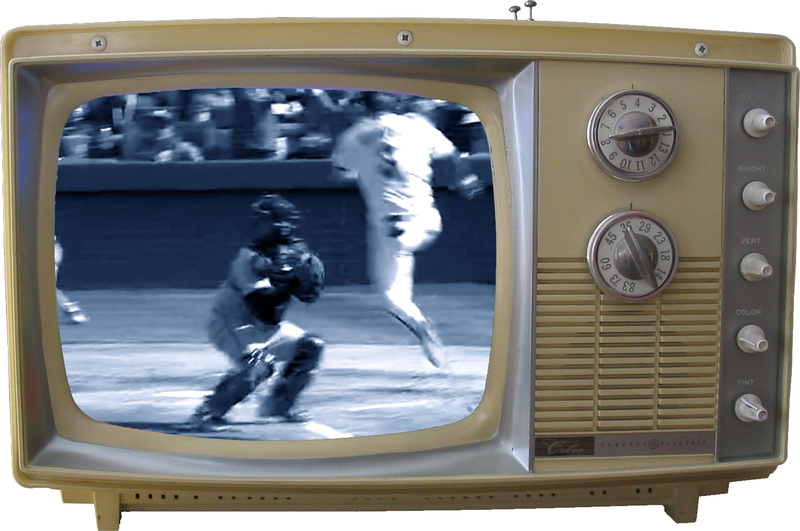 Does fielding matter? Well, we’ll see. Backing up Mr. Polanco is Ehire Adrianza. I like Ehire. He hit .251 last season, with a .680 OPS. I don’t have anything solid really, to base my Adrianza appreciation on, but it seemed like last year he was always surprising us. In a positive way. He needs a nickname, though. El Cabong? Needs more thought. Who was El Cabong, and how did he pop to mind? After internet research, I find that I spelled it wrong, so that’s why we didn’t recognize it. 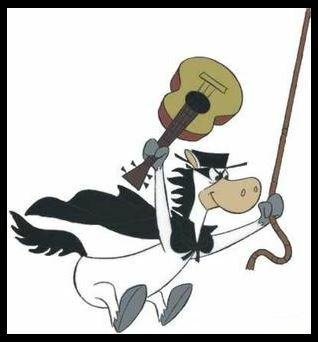 El Kabong was the alter ego of Quick Draw McGraw. “Of all the heroes in legend and song, there’s none as brave as El Kabong.” He would hit the villains with his acoustic guitar. Ka-Bong! There’s some talk in recent days that Adrianza might be traded, what with Marvelous and Amazing and him being out of options. But I hope not. But that’s the way baseball go. I’m holding onto the El Kabong nickname for now. Waiting in the wings, top prospect Royce Lewis, who’s a-coming. Maybe he’ll be El Kabong. Third Base: Dare we pencil in the Mysterious Miguel Sano’s name here? All-star team in 2017, MIA in 2018. What can we look for in 2019? Last year was pretty dismal, especially given expectations: .199 – 13 – 41. OPS of .679? Yup. In 299 at bats. Sent down to Class A! Fort Myers! Where he hit .328 in 77 at bats. Yes, last season was Miguel Sano’s own personal season in hell. Bad health. Bad habits. There was a sexual harassment thing at the beginning of the season that left a cloud, I’ll bet. All in all: ugh. Kabong! This season they say that he reported to camp “in the best shape of his career.” Our New Manager went down to visit him in the off-season. They talked about life, perhaps. Its twists and turns. They say Sano appreciated the gesture. They say maybe he’s turned the corner, ready to be the player he could be. They say a lot of things. But: surprise! He’s hurt. Got a “laceration” in winter ball that hasn’t healed correctly. Needed further treatment this spring, and now he’s out for a month or so. The jury is out. You have to think that with a healthy and revitalized Sano at third, the Twins will be much much better than last year. Right? That just makes sense. Don’t it? Marvelous Marwin backs up Sano, along with the Amazing Astudillo. Surely a healthy and productive Sano would be worth four or five steps forward? He could be a truly exceptional player. But let’s say three, just to be on the safe side. Three steps forward. Left Field: Steady Eddie Rosario. I think most teams would be happy to have Steady Eddie in left. Hit .288 with an .803 OPS. 24 HR. Excellent fielder. Aggressive. Young. Fast. Shows up for Game, every day. Possibly a marginal advantage in the coming season, with maturity, though he had such a great season last year that we’ll call it even. Jake Cave backing him up, along with Marvelous Marwin. Cave impressed everyone last year, hitting .269 – 13 – 45 in 283 at bats as a rookie. There’s a Law firm of youngsters waiting in the wings, name of Wade, Rooker & Baddoo. We’ll be seeing these guys in the very near future. 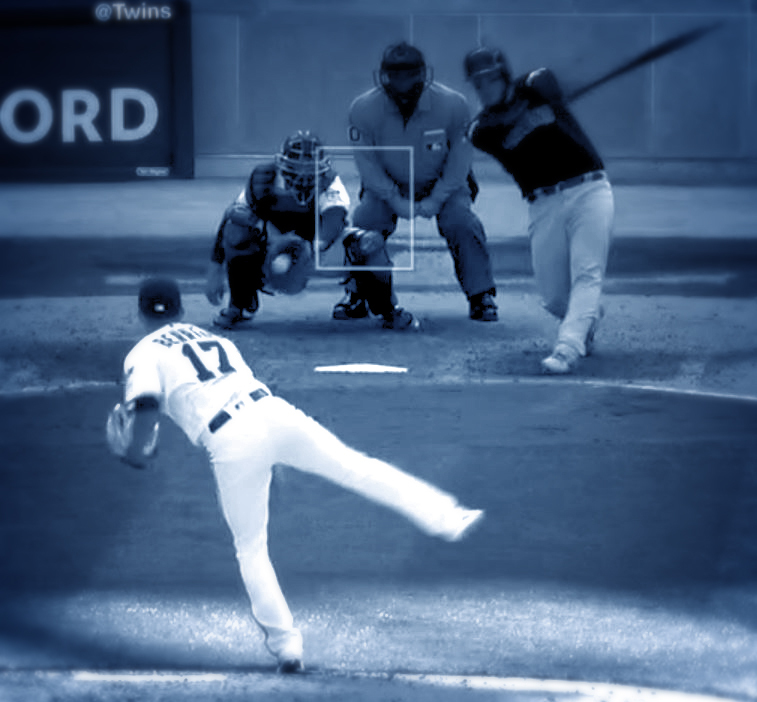 Center Field: Byron Buxton? He only made 64 games last year due to injuries, and when he played, he hit… .156? Yes, that’s right. .156. With a .383 OPS. Another season in hell. Byron K. Buxton. Difficult to fathom. Well, I’m going to have a little faith in Mr. Buxton. I don’t know what all went on last year. Let’s chalk it up to injuries. It’s a new day, in a new year, and Mr. Buxton will be healthy, get 550 or so at bats, and we’ll all live happily ever after. Max Kepler backs up the Buxt in CF. Right Field: Max Kepler. Excellent defensively. Plus: 20 HR, 58 rbis. Only hit .224, but I believe he’s a better hitter than that. Twins daily tells us he only had a .232 BABIP last season, so you know that’s going to improve. We’re really very happy with Mr. Kepler in right, and would not be at all surprised if he gave us a bit of improvement over last year’s numbers. Jake Cave backs up Max in right. And waiting in the wings is a perfectly good prospect, name of Alex Kirilloff, just waiting for an opportunity to succeed. Designated Hitter: Nelson Cruz. 38-year-old Cruz hit 37 HR last season, with .850 OPS. 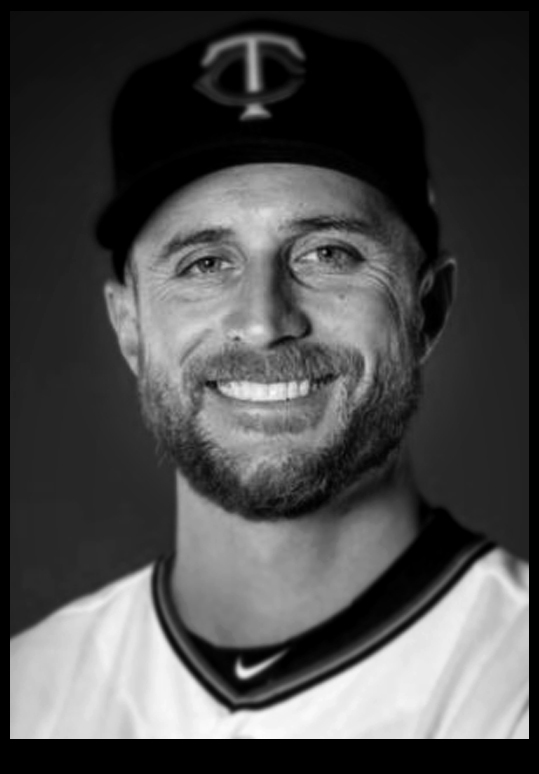 Even if he rapidly ages during 2019, when, statistically, he’ll become 39-year-old Nelson Cruz, he should be better than the cast of characters we had as DH last season. The departed Robbie Grossman hit .273 last season, with .751 OPS. We should do better than that. Taylor Rogers, Trevor May, Trevor Hildenberger, Ryne Harper, Fernando Romero, Addison Reed, Adalberto Mejia, Blake Parker. And others. The pen is, as they say, “a little unsettled.” For instance, Ryne Harper, who’s not even on the roster. He’s got 13 strikeouts and no walks in 10 innings this spring, with a 0.00 ERA. And then there’s Preston Guilmet, also not on the roster, who’s got 15 strikeouts this spring in 9+ innings. And Matt McGill, who went 3-3 last season, with 3.81 ERA in 56 innings. So, we’ll see, we’ll see who heads north. Much will depend upon how the new manager handles this assembly. Last year I thought our bullpen was okay. Statistics seem to indicate otherwise. But statistics are tricky things, as we’ve seen. And who are you going to believe? Me? Or a bunch of sneaky made-up numbers? And, anyway, it’s a new year, and basically anything can happen here. Some might say our bullpen is like a ticking time bomb, but I’m thinking it’s more like an IUD, that may or may not go off. How’s that for positive? And so what if we don’t have a closer? Who needs ’em? But, let’s take 4 steps back. Looking on the bright side: our starting pitching was pretty miserable last season too. So how much worse can it get? Okay, Paul (Manager of the Year, 2017) Molitor, vs. Rocco Baldelli. Oddly, not a quick call on that. You’d Think that Molitor would have the advantage, and you’d think a rookie big-league manager might be a step down from last year. Maybe. This could go either way. Molitor had a lot to contend with last season, with lots of injuries on the club. Key Players were MIA. Given all that, 78-84 is probably a pretty good record. And on that basis, I’m going to say this is a small step back for the club. After all: he’s only the manager. One step back. Because he’s new. So. Put it all together, and what do you get? and we get a -1. A bit worse than last season. And so the forecast for the coming season should be about 77-85. But that can’t be right. Obviously, I was way too conservative on improvements that are coming in the infield and at DH. And really, there’s not enough data yet to use that -6.5 with any degree of confidence. So let’s throw that out. Data be damned. It looks to me like the Twins pitching is going to keep them out of contention. Berrios and Gibson and …pray for rain? But the offense should be quite a bit better, too. Addendum: the baseball gods smile down on me today: I find THREE baseball forecasting magazines in a little free library just down the street! More on this development later. And, by the way, who is the Greek/Roman/Norse god of baseball, anyway? Here in Minnesota we know it’s spring because baseball tells us so. Despite local appearances, despite snow, despite ice, despite freezing temperatures, despite ice dams and black ice, refreeze and spin-outs, road closures, white-outs, and streets so choked with snow that they are all one-way-at-a-time, despite salt burn and Winter Storm Warnings, and shovel-shoulder and freezing fog, and treacherous sidewalks, and broken wrists, and, and, and everything, despite everything, despite every gawdamn thing… it’s official. Spring is here. Spring. It’s here. Spring is here. The commissioner of major league baseball says it’s so. Let us rejoice. The Twins pitchers and catchers reported way back on February 13th, and workouts began the next day. On the 23rd the Twins played their first two games, going 1-1 against the Orioles (L) and the the Rays (W). And today the boys were rained out. (Spring!) They are 12-9 in the Graprefruit League, one game behind the much hated Yankers of New Yawk. Which raises the question, to me: how come spring training doesn’t end with a Spring World Series between the champions of the Grapefruit League and the Cactus League champs? Seems like that would be fun. As per usual, Twins fans (or, at least, this Twins fan) are bursting with optimism. Twins fans are optimistic as a rule. You might find the occasional Bob Downer, who basically is rooting against the Twins just to justify his own dark view of the world. But most Twins fans — True Twins fans — are optimists. (Despite everything. Despite Tommy Herr for Tom Brunansky (!?!) and the Vaunted Larry Casien and Eddie Bane and David West and Cotton Nash and Blue Gill Hughes and Calvin Griffith.) (Just to name a few.) Starting Pitching! Buxton! 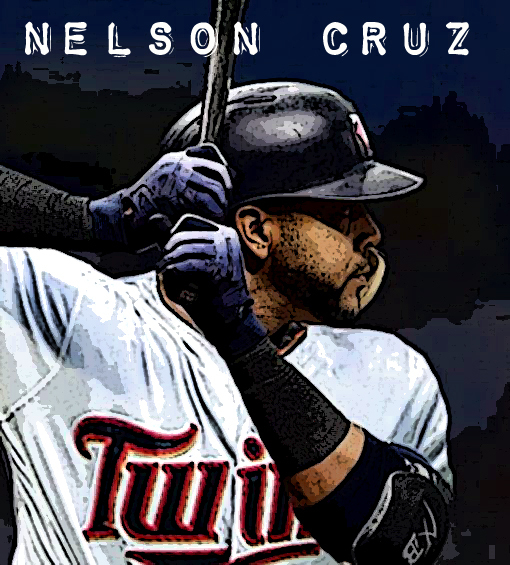 Nelson Cruz! CJ Cron! The Amazing Astudillo! (Three links in that last sentence, and here’s one more! How could you not be an Astudillo fan? La Tortuga!!) Berrios! Marwin F. Gonzalez! Shirley, this season is just a formality. Yes, we’ll play it out. Yes. If we must. If the Commissioner insists. But we will see you in the Series! When can we start printing the tickets?